Executives often “google” themselves. They do it to see what’s been written about them. So if you are attempting to recruit a newsworthy executive you suspect might be googling his or her own name, simply set up a Google Adwords advertisement that displays a message whenever that executive’s name is entered as a search term. The technique was developed by an advertising executive who conducted The Google Job Experiment. (See video below.) 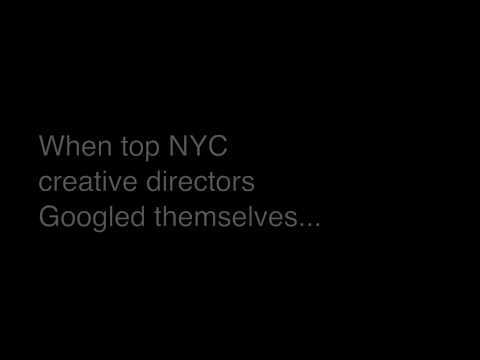 For a total cost of $6 dollars, he placed Google Adword ads targeting the Creative Directors at leading ad agencies in New York. When they googled themselves, the top result was a message from the executive asking for a job. Of the 5 creative directors he targeted by name in the ads, 4 granted him interviews. 2 of the 4 offered him jobs. If the recruiting technique works to gain a hiring executives’ attention, it would likely work in reverse to get a candidate’s attention. It is an effective tool to get the attention of luminary candidates who rarely to recruiters because they are recruited all the time. If you’ve ever googled yourself — and chances are you have — you can understand why placing an online ad might actually work. Imagine surfing the Internet, googling your own name, and then noticing an ad in the search results that is talking to you. While, granted, it may be a little creepy and stalker-ish — you likely would realize that someone went to a great deal of trouble to recruit you and you alone. They went so far to personalize an ad just for you.